Despite its isolation, tourist accommodation was available at Lake Waikaremoana from the 1870s. Mountainous areas were promoted for their scenery in the late 19th century, and Waikaremoana had an additional attraction in the form of its stunning, bush-clad lake. 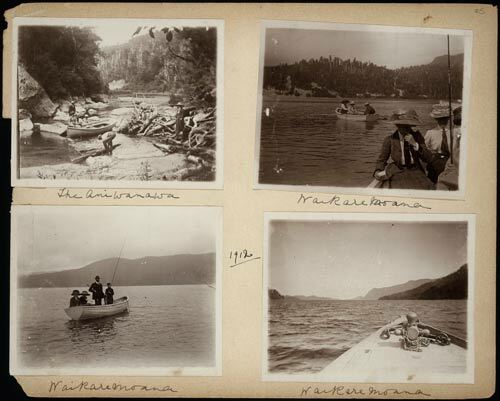 This album shows early tourists venturing out on the lake and the nearby Āniwaniwa River.